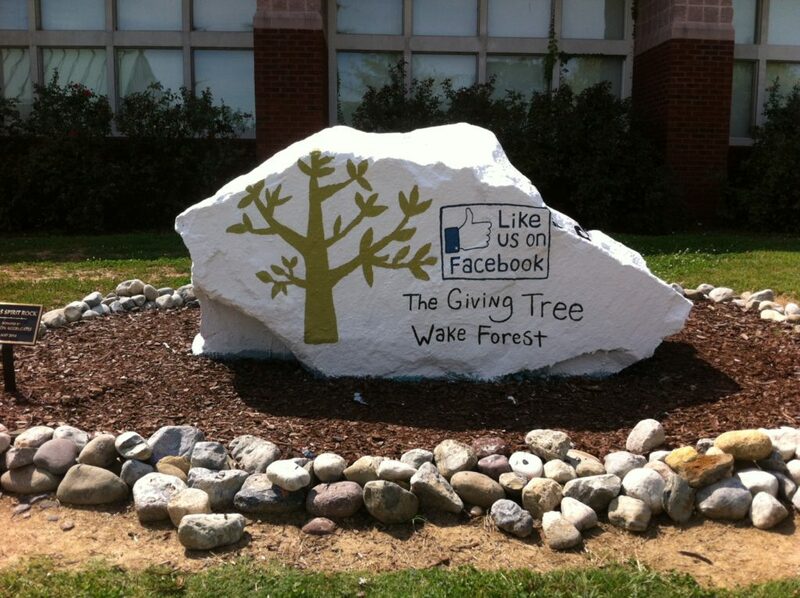 The Giving Tree Foundation, Inc. is a tax-exempt public charity. Contributions to the organization are tax-exempt under section 501(c)(3) of the Internal Revenue Code. We provide receipts for all charitable contributions. Thank you in advance for your support! When you donate quality items to The Giving Tree, you support students attending school in Wake Forest (public, private and charter). The proceeds raised through the resale of your donations allows us to provide funding for ongoing educational, enrichment and extracurricular programs. Your donation also supports community recycling efforts and contributes directly to the local economy. Please bring donations to the rear of the shop. There are parking areas on both sides of the store for your convenience. We love to get your donations, but can only take them if they are clean and dry and in working and usable condition, suitable for immediate resale. Please review our guidelines below of Acceptable Items. We may not be able to accept some items based on condition or suitability for sale in our store. How do you feel about no-guilt retail therapy? Come shop with us and know that your purchases support a good cause! Each purchase earns a credit for the participating Wake Forest school of your choice and supports local sustainability efforts by upcycling once-loved home goods. It is a win-win! We sell donated furniture, china, cookware, glassware, collectibles, artwork, wall decor, linens, cookware, and books. We also have children’s books and toys, as well a selection of new items (jewelry, scarves, soaps, and lotions) to complement our existing line of donated merchandise. Providing this new merchandise alongside the used allows us to provide an upgraded customer experience and brings in customers who might not otherwise go to a resale store. Whether you are a true thrift-shopper looking for “the thrill of the find”, a price-conscious parent managing a budget, a young adult decorating a new home or a DIY shopper looking for items to “fix up” – this is the store for you! Stop by and enjoy our boutique shopping experience with discount prices. Thank you for considering volunteer opportunities with The Giving Tree! We rely on your help to keep our daily operations running smoothly and appreciate your time. All new volunteers will need to complete the following Volunteer Application. Once we have reviewed your application and you have been accepted as a volunteer, we will setup a volunteer training session for you with one of our regular employees. After you have completed your initial training session, we will work with you on a mutually beneficial volunteer schedule. It will take us approximately 1 week to review your application and get back in touch about an initial training session. Summarize special skills and qualifications you have aquired from employment, previous volunteer work, or through other activities, including hobbies or sports. Have you ever been charged with a misdemeanor or felony? If yes, please explain details below. Are you completing community service to meet a court-ordered requirement? If yes, please explain below. Do you have a valid Drivers License? Please provide DL# and state. Our Policy of this organization is to provide equal opportunities without regard for race, color, religion, national origin, gender, sexual preference, age, or disability.